At this time, in the market, there are many models of earrings. Among the most versatile ones and, more important, among the most suitable ones for a relaxed outfit, the stud earrings are the best option. Usually, they are a pair of earrings that can be worn in any circumstance, being probably the most comfortable and desirable ones. In addition, it’s worth mentioning that the stud earrings are very comfortable too. No matter the activity you are involved in, this type of earrings is very easy to wear and they won’t make you feel uncomfortable at all. Indeed, if you are a little creative, you can definitely be able to wear them at almost any outfit and on any occasion. Yes, exactly, I keep my opinion that they can be worn at almost all outfits, starting with a sport outfit and ending with an office outfit. And, of course, they are more than perfect for a casual outfit. As for the places where you can wear such earrings, they can be worn anywhere, when going shopping, while having a walk in the park, going to the cinema, to a fancy romantic dinner, to the market and even to a business meeting. You can adapt your studs to your outfit very easy. If your outfit is an elegant one, then choose a pair of studs with gemstones, but if you enjoy more to wear casual outfits, then you should choose simpler stud earrings. 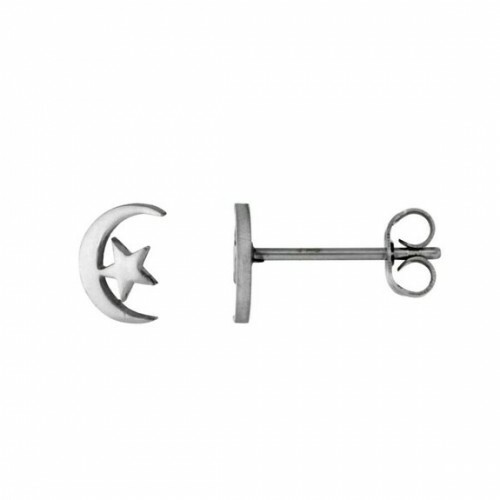 For casual outfits you can wear studs with less complicated shape and not necessarily made of precious metals. Keep it simple and your look would definitely be perfectly completed by a pair of stud earrings. No matter what are the latest trends in fashion, don’t forget that less is more. Therefore a pair of stud earrings is the perfect accessory anytime.